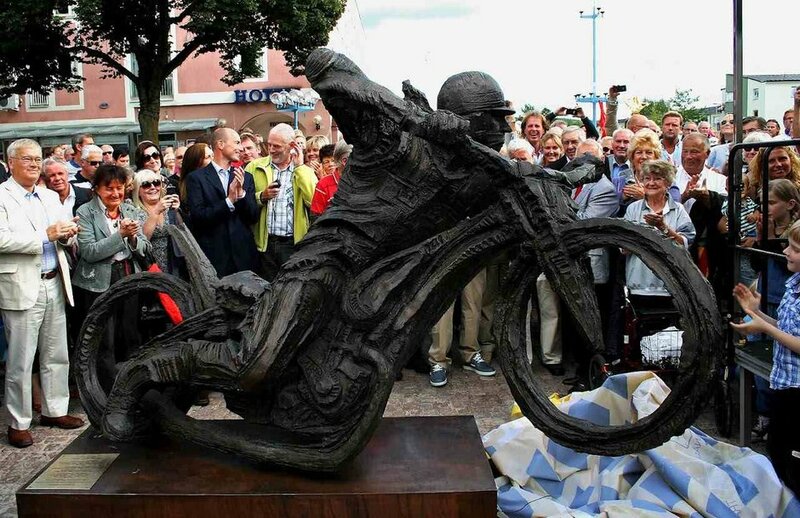 The statue of Ove Fundin, five-times World Championship speedway rider, was unveiled last August in his hometown of Tranås in Sweden. He is my father and I met him for the first time when I was 30. 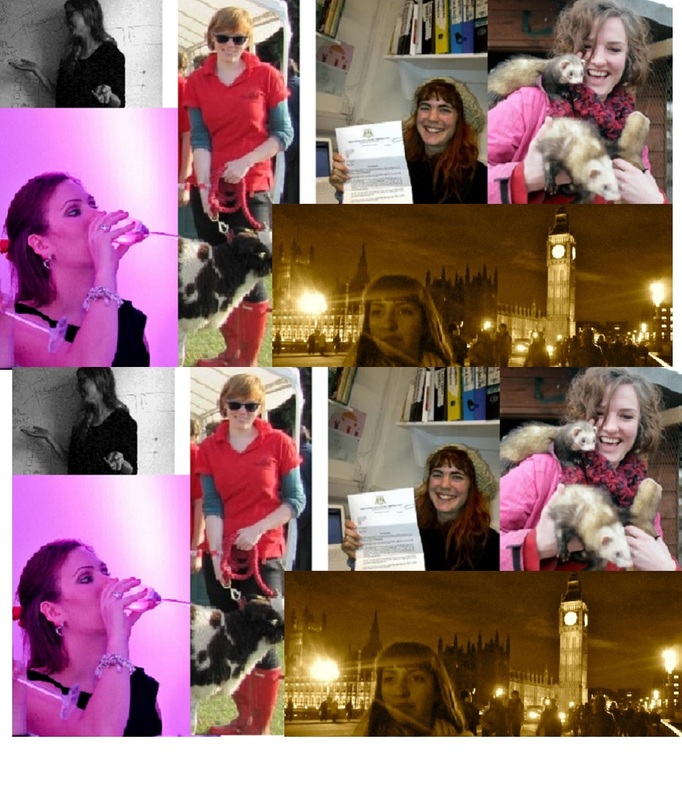 One Weekly Blog Club optional theme this week was a ‘public statue in your locality’. I am not from Tranås: I was born in London at a Catholic children’s home and moved, at six weeks, to my adoptive parents’ home in Folkestone. My biological father’s seven children lived in and around Tranås: a town of just over 14,000 people in the south-west of Sweden where his family had been prominent furriers. I have four-half brothers and three half-sisters: one of my half-sisters is just two days older than me. It is a strange thought, being born so close together; her life has seemed one that I might have had. It was and is very different from my own: horses and school skiing lessons, a big country house and lots of siblings. It was also one with a largely absent father who went on to marry twice more, the loss of that country house, a mother who married again and a step-brother. My father is described by his biographer as ‘an idol [whose] ruthless pursuit of success…often upset the British crowds.’ He is volatile and complex, generous and courageous; he has travelled all over the world and has marked his birthdays from the age of 70 by walking from France to Sweden, for example, or motor biking to Sweden from South Korea. I am very short, have one child and parents who have just celebrated their 58th wedding anniversary, still living in the dolls house-sized semi where I went at six weeks. I had one adoptive brother, severely mentally ill from a young age. My parents have never flown or driven a car: Dad did a moped course but was too nervous to give up his pushbike. Mum stayed at home while my half-sister’s mother still works as a journalist and author. It is all so very different. My parents’ life is family and church and walks around the cliff, no black tie dinners or winters in Australia. I went to a town council-hosted lunch and dinner for the statue launch, heading off to sleep after a couple of glasses of wine in the evening. My half-sister and the others have a Scandanavian tolerance for a long rowdy night of spirits and socialising. It has taken a long time to write this but it comes nowhere near conveying the sense of trying to convey the wonder of what makes each of us ourselves and unique. Time to stop trying. I have grown rather fond of the Folkestone Mermaid. The bronze statue, by Cornelia Parker, was commissioned for the Folkestone Triennial in 2011 and the artist invited all women in the town to apply to model for her. I like and admire the artist’s decision to have a strong and robust figure as a model, rather than the unhealthy and unrealistic shapes too often held up as shapes to which women should aspire. The link above is to the Daily Mail for two reasons: it is a decent and informative article, with good photographs and quotes. It is also followed by the sort of poisonous misogynistic comments are too often featured in below the line responses, aimed at women and their body shapes. 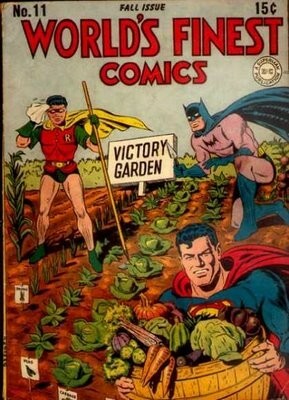 Know your enemy. Not everyone agrees that this how a mermaid should look: you may have noticed a lack of tail. I am also fond of the Folkestone Urban Sirens: a group of women who dress up the statue by night in protest against this dearth of tailed-similarity to her Little Mermaid sister in Copenhagen. Last month, it was announced that the Folkestone Mermaid will be staying for good, after she was bought for the town. 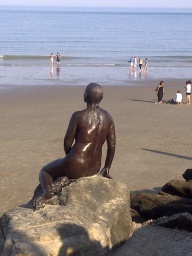 I was lucky enough to wave to her this week and hope that she stays, looking out to sea, to inspire more artists, women of all shapes and sizes and phantom-statue-costumiers by night. A fascinating look at why differences between non-profits and businesses may be harming charities. I particularly like his views on innovation and how non-profits are risk-averse. In 1994, Dan Pallotta created the AIDS Rides — a series of long-distance fundraising cycling journeys that netted $108 million for HIV/AIDS research and services within the space of eight years. Later, his Breast Cancer 3-Day walks netted $194 million in an even shorter period of time. Both had their best years ever in 2002. But then, after a spate of bad press criticizing the management of the organization, both were shuttered. Imagine a squid so big that, when sprawled out, it is the size of a two-story house. Edith Widder has now seen this enormous ocean creature, once the stuff of nautical legend, six times. [ted_talkteaser id=1684]In today’s talk, Widder shares how we now have filmed proof of the giant squid’s existence, thanks to a mission conducted by herself, Tsunemi Kubodera and Steve O’Shea and financed by the Japanese Broadcasting Corporation, NHK. While many previous missions failed to capture evidence of the giant squid, Widder and her fellow scientists used novel approaches — a camera platform that moves silently through the ocean, a bioluminescent electronic jellyfish to attract large sea creatures and a submersible able to take high definition footage from afar — to give us a glimpse of this mythical creature. In fact, they filmed it in action multiple times.